Listening to Tamino’s breakout single “Habibi” off his latest EP is to be in the presence of a terrific songwriting talent, who boasts an octave-defying voice and a palette of diverse influences. The track unfurls a portrayal of desire, equally tender and doomed, while weaving in Arabic musical tones and vocal inflections that exemplify its maker’s influences (Jeff Buckley, Nick Cave) and culture-spanning lineage (Egyptian, Lebanese, and Belgian). The 21-year-old Tamino Moharam Fouad has also been classically trained and put in time in a punk rock band, but as his stunning debut shows, it’s his romantic, slow-burning creations that truly cast a spell. Tamino’s first LP, Amir, arrives in October, bearing more emotional set pieces—led by first drop "Persephone"—that according to him, illustrate “the conflict between blinding romance and dissipating nihilism.” His heritage continues to be worn on his sleeve: the record features the Arabic musicians of the Brussels-based Nagham Zikrayat collective, who provide an orchestral sweep across the album. 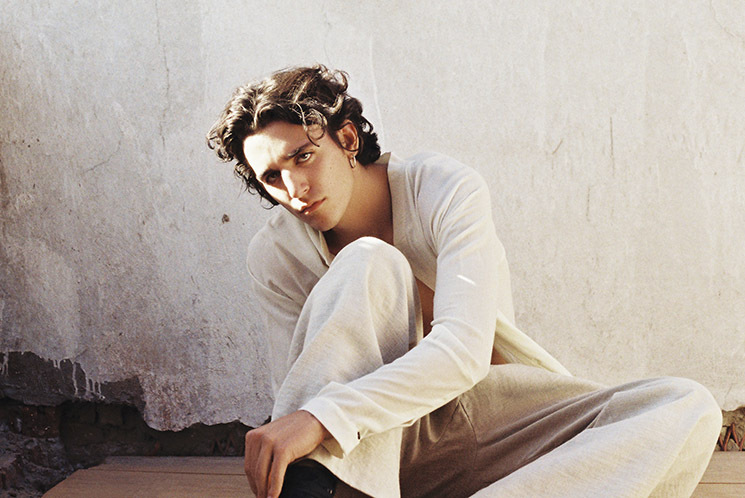 But don’t let us tell you about his influences; Tamino, here, has compiled for us an exclusive playlist of his all-time top tracks that in between Hamza El Din and Leonard Cohen, spotlight his omnivorous taste and appetite. As he stares down a big break, and before he heads out for a trail of late-summer festival dates, we caught up with the singer-songwriter for a quick conversation about where he’s come from, where he’s headed, and where he’s taking us. Thank you for that playlist of your all-time favorite tracks. What was the experience of putting together this list? It was a nice experience going through a lot of the music that has shaped me and that I deeply love. Quite an intense work because by choosing one, you eliminate an other. We’re excited about the release of your debut album in October! What should we look forward to hearing on Amir? What was a lesson you learned over the year-long process of making of Amir? Never trust a cat near a piano. Why was it important to you to feature the Arabic musicians of Nagham Zikrayat on this record? What was it like to work with them? First and foremost, because they are incredible musicians and I was touched from the first second I heard them play. Secondly, because I wanted to recreate the sound of the Arabic orchestra’s (firqa’s) from the golden age (like the ones that played with my grandfather). After I wrote the beginning of the string arrangements, I knew that I would need that particular sound, and that a regular, western, classical orchestra wouldn’t capture the right spirit. Typically for a firqa, they accompany a singer. I wanted to recreate that vibe of a big orchestra playing behind the singer, all accompanying him, going along with his words, phrasing, and melodies. Your tracks such as “Habibi” and “Sun May Shine” romantically yet darkly contemplate love and life. From where do you draw these emotions? And what’s your mindset when you sit down to write a song? You have a number of festival dates lined up from next month. What are some essentials you’ll be packing for those shows? I think underpants are quite essential. And something to read. What is something you hope your fans can take away from your live shows? I hope my concerts can be worry-free places, where you don’t check your phone or think about your daily tasks. Transcendence is the ultimate goal. What was a live concert that changed your life? Books have changed my life more than concerts have. How do you hope to develop your sound or to further challenge yourself as a singer and songwriter? Working every day is the most important thing for development. Only time can tell in which direction I will head. Finally, what’s the first thought that comes to mind when you hear “Big Break”?